Here is our bio: Enjoy. A+A Wellness is a custom program that is built from Alex and Ashley Poptodorov’s dream to help others achieve health and happiness through incorporating lifestyle changes. Together, A+A has over 20 years combined experience in helping their friends and clients to achieve success through the use of their program. A+A is built out of pure passion and a desire to see others achieve their fullest potential. Currently, Alex is pursuing his N.D. Degree to become a Holistic physician. He has years of experience in helping others to achieve success through the implementation of nutrition. He specializes in custom nutrition including, raw food, vegan and vegetarian meal plans and Nutritional juicing/Detox plans. Alex is a Microbiology Major and holds several Fitness professional certifications including NASM, NSCA and is an APEX certified Nutrition professional. Alex is also a United States Olympic Weightlifting Coach and loves to spend his free time in the gym practicing his sport. Ashley is a certified Fitness Professional, Professional speaker and Aspiring Author who has such a drive and motivation for encouraging others to see the best in themselves. Ashley embarked on her own journey to health with the help of her husband Alex. At one time Ashley weighed 208 pounds and successfully lost 80 pounds. She knows firsthand the journey her clients are embarking on and uses her personal experience to push, motivate and encourage them throughout their journey. Ashley is currently in the process of writing her first book and loved to spend her free time traveling to speak. To date she has had the pleasure of speaking among gifted speakers such as Lisa Whelchel, David Wolfe, Brian Tracy and many more. A+A Wellness believes that no matter where you are starting, you can change your life by changing your lifestyle. Our team is just what you need to begin making these huge lifestyle changes and we look forward to using our passion, experience and knowledge to help YOU. 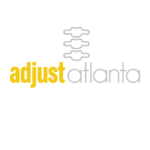 A+A Wellness proudly serves East Cobb, Marietta, Roswell, Sandy Springs and surrounding areas for personal training, nutrition and healthy lifestyle coaching. We also have a web based fitness/nutrition program that is available worldwide so you can now experience the benefit of working with Alex and Ashley no matter where you live.